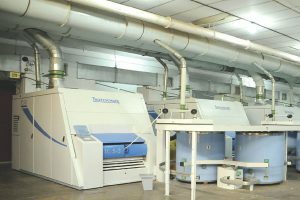 Spinning is a major part of the textile industry. 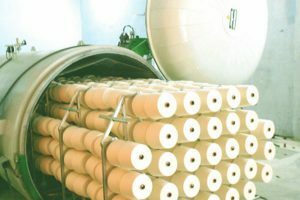 In simple words, spinning is a process in which we convert fibers by passing through certain processes like Blow room, Carding, Drawing, Combing, Simplex, Ring Frame and finally winding into yarn. This yarn is then wound onto the cones. 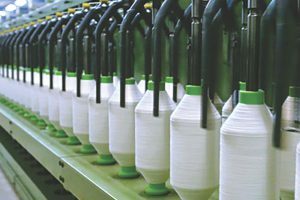 Kallam Textiles Limited started the Commercial production of spinning unit on 22nd March 1995 with 12096 spindles.KSML is an ISO 9001-2008 Certified Company by TUV NORD since 2010. The Company today operates 59280 spindles of Ring Spinning out of which 31488 spindles are compact. Constant commitment to high quality standards and innovation has been the secret of success ever since the company was founded. 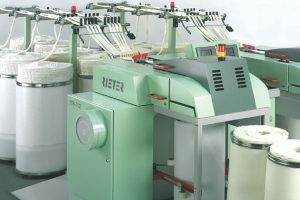 Superior Spinning units ensure the supply of consistent quality yarn to manufacture the garments. 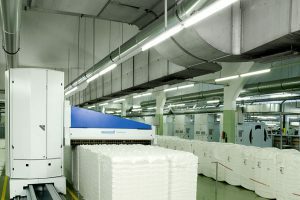 Our Spinning Units leads the quality of yarn in the market. 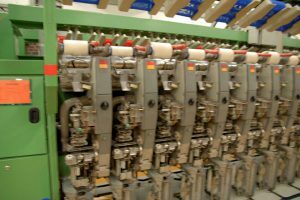 Ultimately, the crunch lies in the infusion of hi-tech, state-of-the-art machinery that aids in the production of high quality 100% combed yarn, in counts that range from NE 20s to 100s in single and doubles.